All of our Australia content on one page. Just jump to the post you need. I never thought I’d spend any time in Australia let alone such a large chunk of my life. I certainly never dreamed I’d marry an Australian and move to the other side of the world with 2 small children. I also never dreamed I’d become a travel blogger, nor that I’d develop such a knowledge of travel in Australia that I’d be able to put a whole Australia travel blog section together, but here it is, and that’s what happened. So if you’re looking to visit Australia as a backpacker and travel around by bus and train with a 2 man tent, as we did, or if you’re looking to come here on vactaion and stay in Australia’s top hotels, as we have, or even if you’re looking to move to Australia, we can help you with that. There are many other ways to travel in Australia, rest assured we’ve done them all. Last on our bucket list is to complete a lap with a camper van or motor home, it will come, maybe when the kids have flown and we’re grey nomads. We lived in Far North Queensland ( Port Douglas and Cairns) for many years between travels further affield, so most of our Australia content focuses on Far North Queensland, but we have travelled all over Australia and that content is slowly making it onto the website. 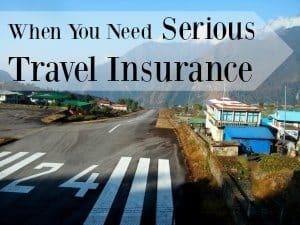 I have an advantage in that my husband, who is my co – travel blogger, lived just about everywhere in Australia as a child so we can talk knowledgeably about most destinations in Australia, just about. If we’re stuck we have other writers we can call on for insider local knowledge. So here’s the Australia travel blog, with a lot of facts, a smattering of personal stories and a whole heap of experience. You’ve caught us working on this page today – sorry! Australia is easy to break into fun-sized chunks for the purposes of a travel blog, not just the states and territories, but those divisions can be sub divided into distinct areas, Queensland becomes The Gold Coast, Sunshine Coast an the Far North, for instance. You can also talk about Australia in terms of the east coast, west coast, Great Ocean Rd. , Red Centre and so on. We’ve tried to give you those chunks below. It’s not that we don’t know New South Wales, we’ve been many times and a lot of my husband’s family lives there. We just haven’t written about it yet! The first post on our website dedicated to New South Wales isn’t exactly a tourist attraction. Belanglo State Forest was the scene of a string of serial killer murders. Why do we have a post on it? It’s a favourite place to forrage for wild mushrooms and that happens to be a subject my husband’s brother knows a lot about. He very kindly wrote us a post, Belanglo State Forect, Murder and Mushrooms. Our only post covering South Australia so far revolves around Adelaide, things to do in Adelaide and nearby. We hope it’s useful in planning your South Australia trip. Enjoy those wineries! Australia has many islands that serve as destinations in themselves but Fraser Island is special, it’s the world’s largest sand island and can be found not far off the coast around Hervey Bay. You can get to Fraser Island with your 4 x 4 vehicle by ferry and once there enjoy the scenery, beaches and lakes. However, you shouldn’t swim in the sea from Fraser, that’s not smart. You can discover why and things to do on Fraser Island here. Visitors come to Far North Queensland for our tropical rainforests, the Great Barrier Reef and the unspoilt beaches that line this coast. You will find something for everyone in this region for every kind of traveller, your backpacker, luxury traveller, long weekend, 2 week vacation or family holiday maker. Sit here, have a wine and a pot of prawns and just watch the boats go by. The view from the deck of The Combined Club, Port Douglas. 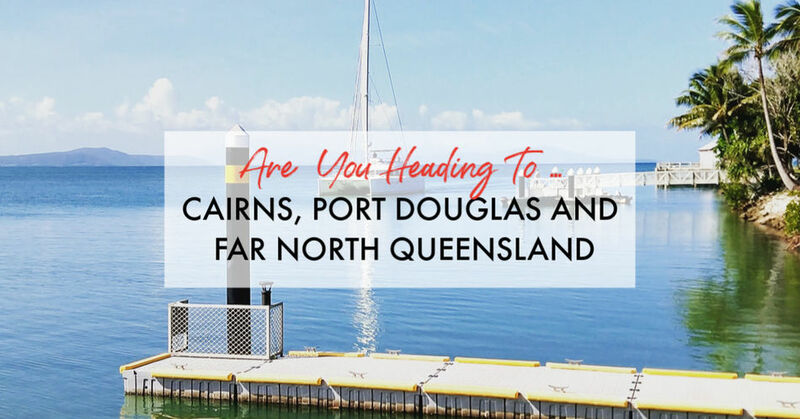 Far North Queensland and the big centres of Cairns and Port Douglas work for every age, you’ll find information here on things to do and see for babies, kids, teens, adults and the older traveller. Visiting the Great Barrier Reef features on many a someone’s bucket list and deservedly so, it’s an incredible experience. You can do it further south, Great Barrier Reef trips start towards the south of Queensland. Our content focusses on the reef off Cairns and Port Douglas, for now. The Great Barrier reef is situated in the Coral Sea off Australia’s north east coast and is a World Heritage Site protected by the Great Barrier Reef Marine Park. 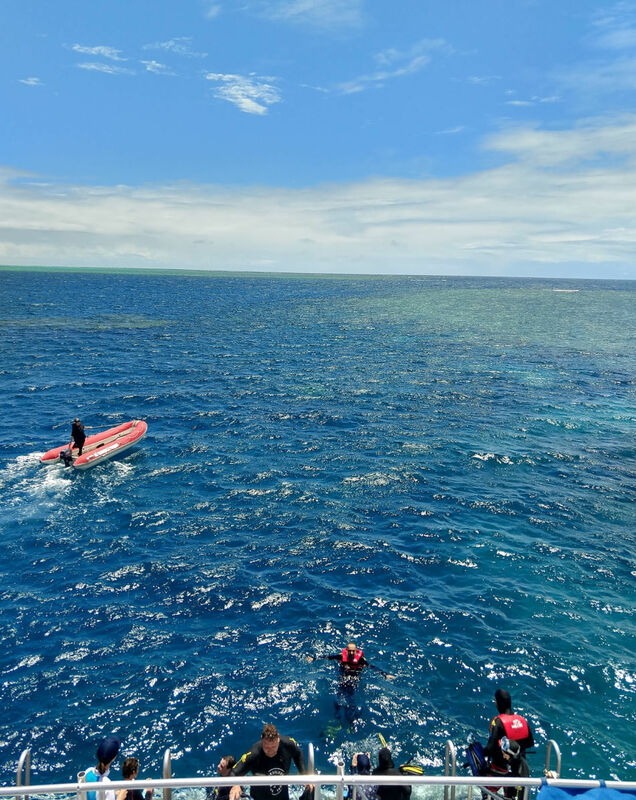 We have a full post on trips to the great barrier reef from Port Douglas here, a reef fleet also operates out of Cairns. If you want to find out what this experience is like, is it scary, are there sharks, is it expensive etc. you want this one, snorkelling on the Great Barrier Reef. If you’re thinking of learning to scuba dive or taking a liveaboard dive trip, we can tell you about that too. 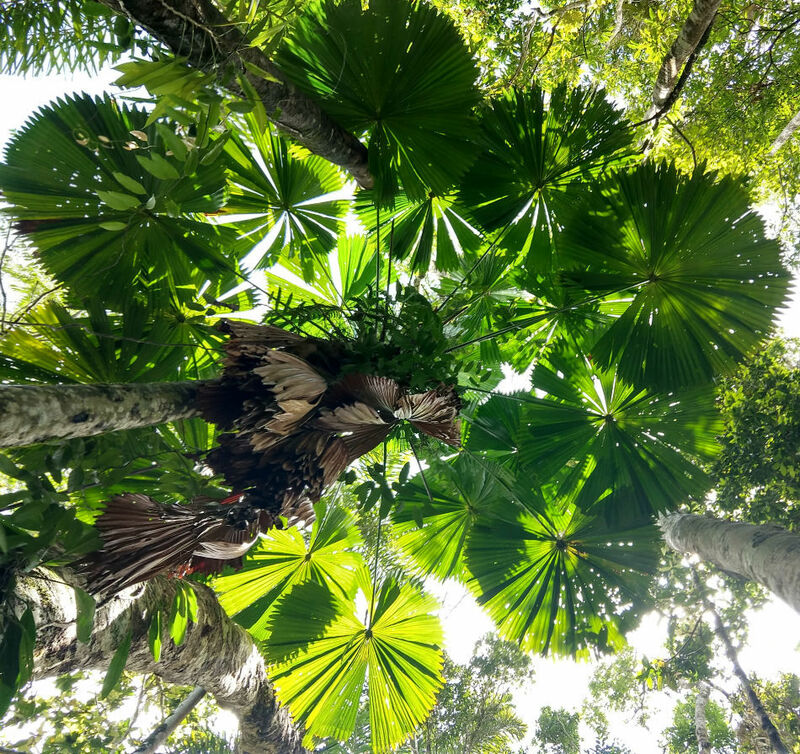 Cape Tribulation and the Daintree Rainforest are where the reef meets the rainforest in Far North Queensland. You’ll be stunned by the beauty of the oldest rainforest on earth, the incredible wildlife and pristine beaches. You can drive or take a tour. But what is there to do up in the Daintree? 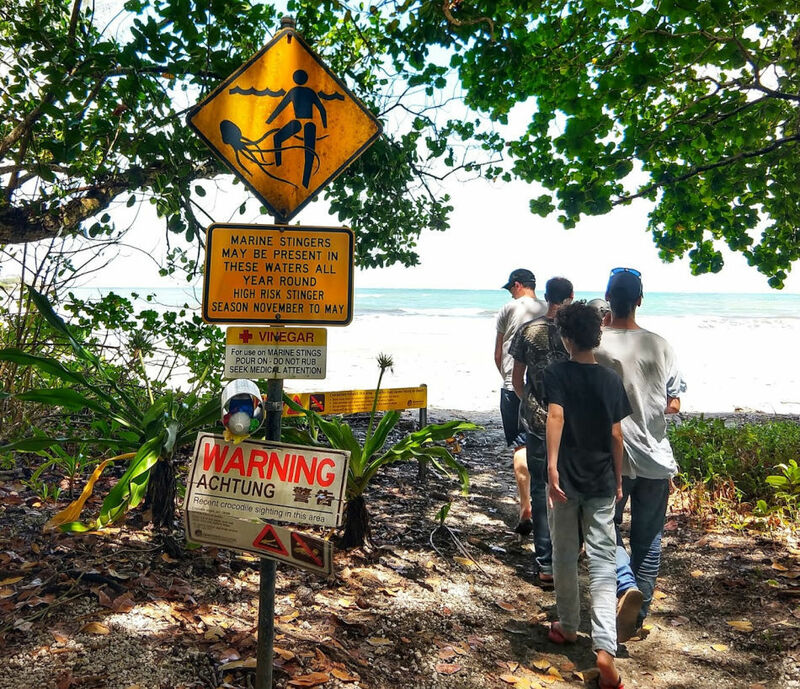 Where can you take a walk on the beach, stroll through the rainforest, spot a cassowary, get an ice-cream and how do you cross the Daintree river? See our post here. 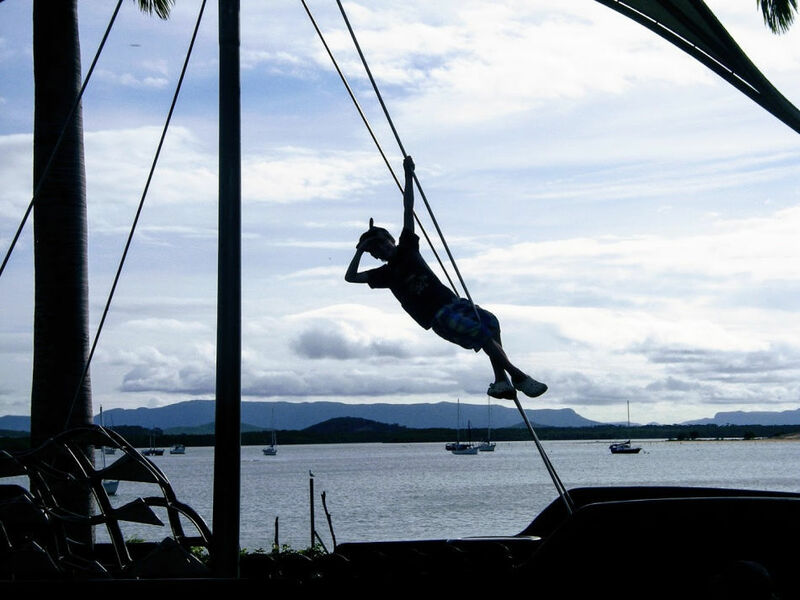 There’s a superb waterfront playground for the kids up in Cooktown as well as a whole heap of history. It’s well worth the trip. Click through for more. We used to love taking the 4 x 4 up to Cooktown. We owned a Toyota Hilux and crossing the creeks and scrambling up dirt tracks was a dream. But there’s also an inland, tarred road. Getting to Cooktown, named after Captain Cook for this is where he collided with Australia, things to do, places to see, camping and hotels. It’s a whole other world up there. See our link above or click on the image. It’s not a massive big deal, but stinger season does bring increased risk. Read up on stinger season in the Cairns and Port Douglas region by clicking through . Summer in far north Queensland is winter in the northern hemisphere. It is our wet season, it’s hot, wet, humid and all that rain brings dangerous marine stingers ( jellyfish) into our waters. You need to read up on stinger season here. It’s beautiful, free and doesn’t contain crocodiles or stingers. 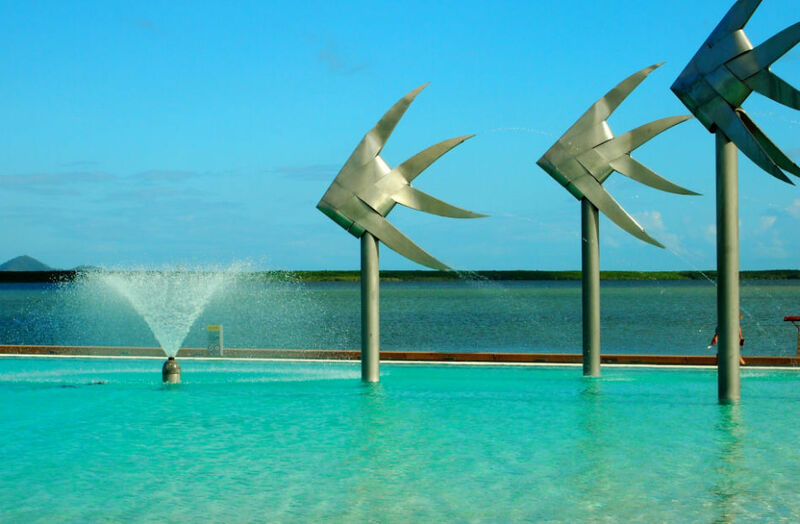 The Cairns lagoon is right on the waterfront. Swimming off Cairns is pretty much out of the question so they built the lagoon. 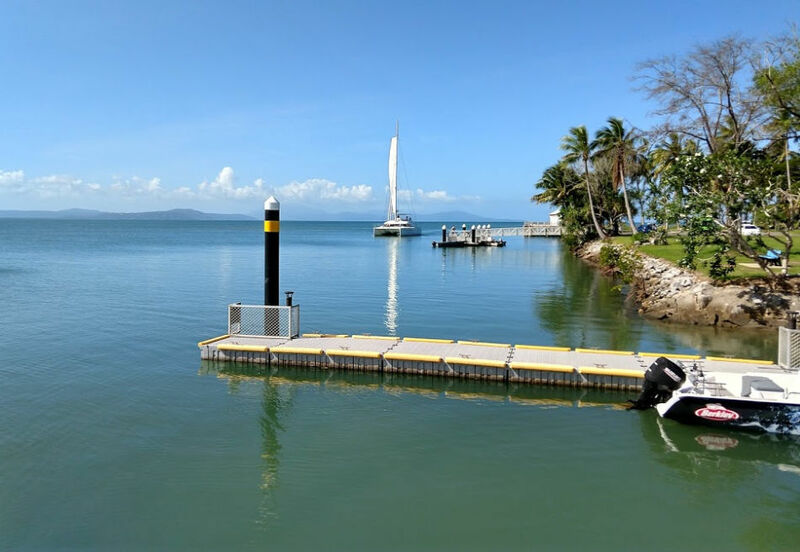 Find out about this and other swimming options in the Cairns and Port Douglas region here. My kids grew up swimming in rainforest streams. This is Mossman Gorge. Cold, crystal clear and croc – free…we hope! 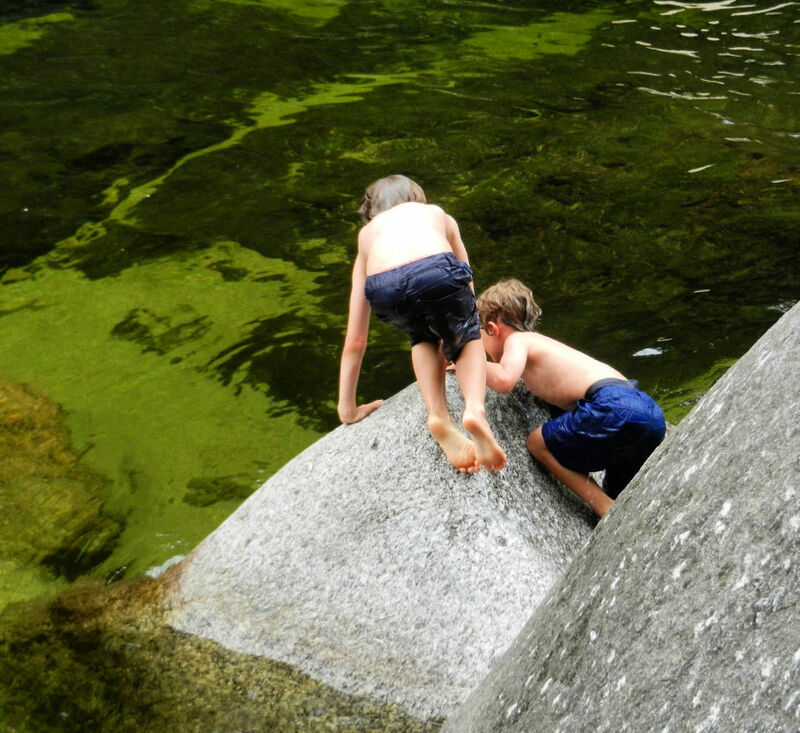 If you’d prefer a more natural swimming experience there are streams, pools, waterfalls and swimming holes to enjoy. My kids platypus spotting up on the Atherton Tablelands above Cairns. 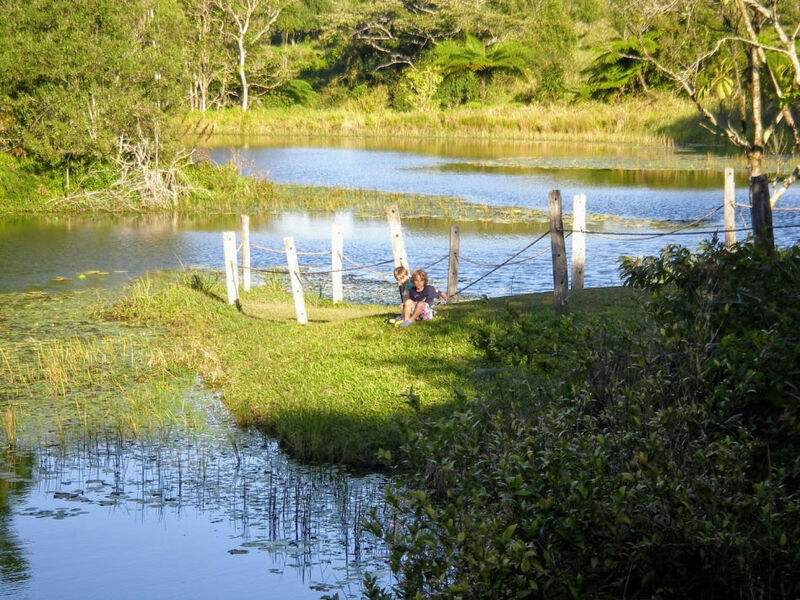 You can see wild platypus on the Atherton Tablelands. Also, of course, you can look out for crocs and cassowaries. Dickinson Inlet in Port Douglas, the Superyacht Marina, the beach and reef, Port is the perfect place for messing about in boats. But what else is there to do around town? Have you ever seen cane toad racing? Well now’s your chance. 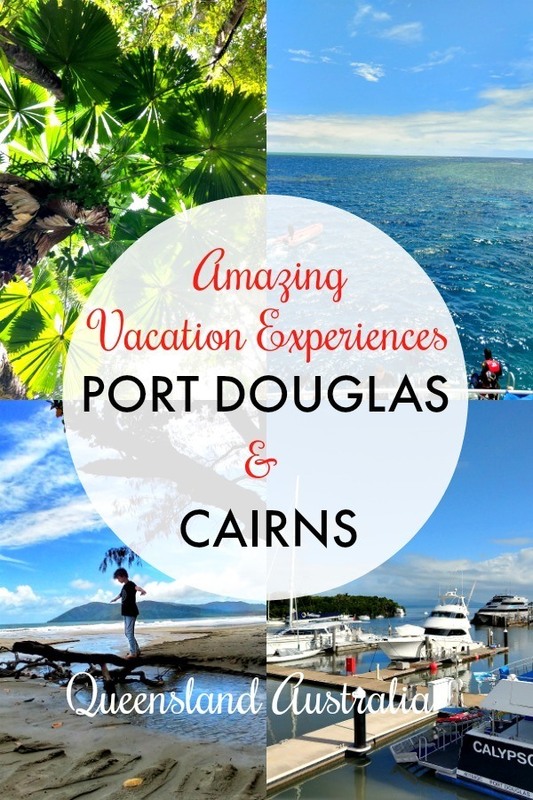 Tours, things to do, places to see, in and around Port Douglas. This page is growing all the time as we add new insider knowledge, local tips, guides and information. We’re hoping to make the best guide to Australia in coming weeks as well as still covering our recent travels in the Himalayas. Sign up to follow, this site grows almost daily and it’s our family business.